Automated manufacturing, distribution, fulfillment and shipping operations need fast, efficient processes. Accuracy and productivity improvements can have a direct effect on profitability. With modular, automated print and apply solutions from Inovity, you can take your labeling functions to the next level and dramatically improve the speed of your lines. Automated print and apply systems remove the manual application of labels. Printers print crisp, clean labels and then apply them automatically, to a variety of product packaging, cases, totes and pallets. A reliable, industrial, modular print and apply system provides you with a lower cost of ownership and a strong return on investment. – Track smaller components, such as batteries, brake shoes, hoses, mirrors, etc. Modular print and apply systems are easy to upgrade. Start with a single panel labeling system today and move up to multiple-panel labeling or wrap labeling tomorrow. Systems can be configured to apply preprinted labels, static information or variable, database-fed information. Improve efficiency and streamline production, processing and delivery—without sacrificing quality. How can industrial automation work for you? 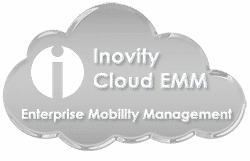 Contact a Systems Consultant at Inovity today. No matter what products your facility produces, we can help to improve the efficiency and accuracy of your product labeling.